I knew I wanted individual pinatas for the twins birthday last month, but most of the inspiration I found included way too much finge cutting for twenty individual favors, and more frill then I was hoping for. 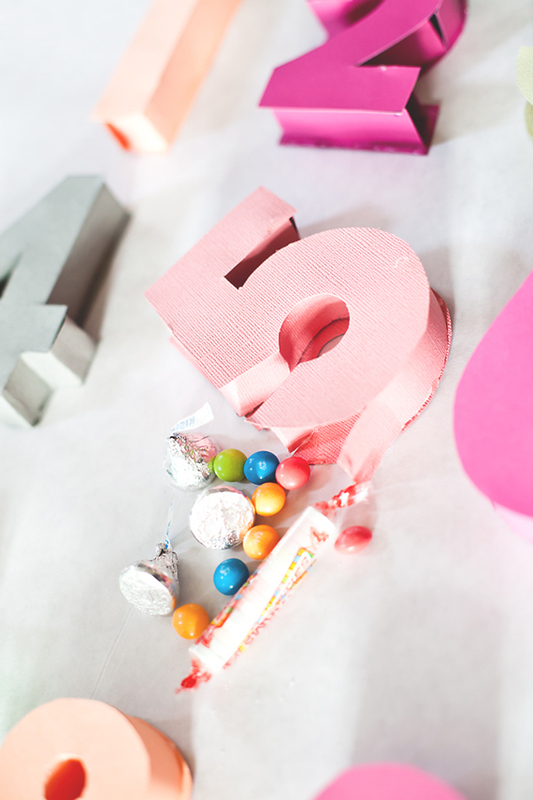 I designed these simple paper numbers pinatas and they came out so festive! 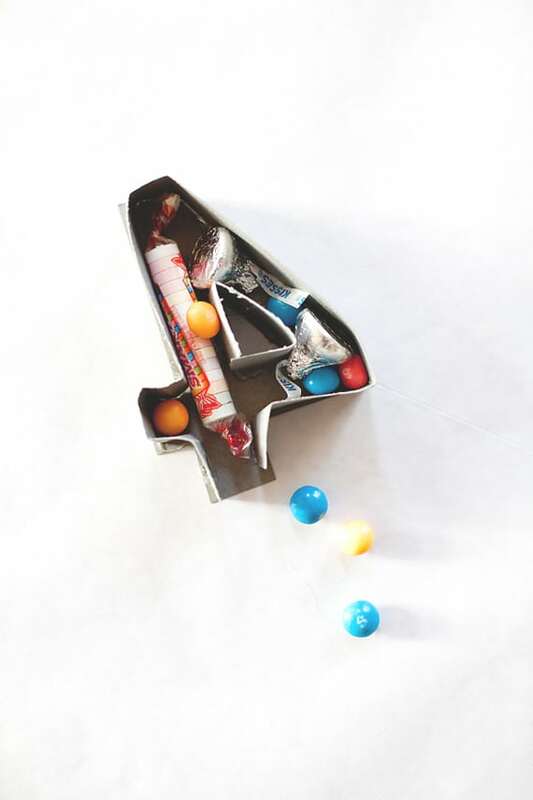 Each kid got their own “4” filled with treats and the entire party’s worth only took me one evening to put together. 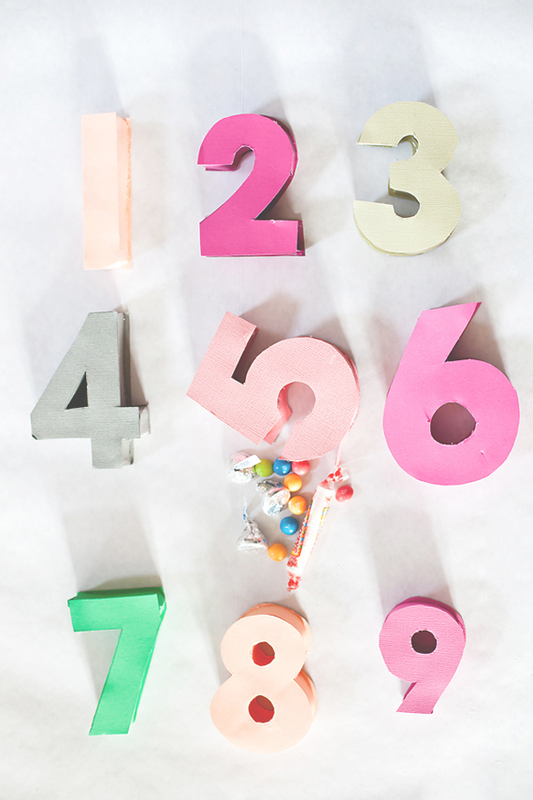 To make the individual paper pinatas, download the number template from 0-9 right here. All the number are different sizes which lends to a playful configuration when placed together. 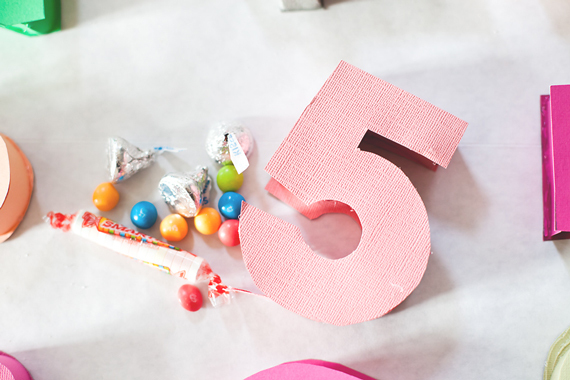 Use the template to cut out two numbers for each pinata using colorful crafting paper. Cut out a 1 inch strip of paper for each pinata as well. Place the first number backside up and using a small line of hot glue attach 1 inch strip around the number. Start at the bottom and finish at the bottom of the number, leaving a small flap unglued. Fill with candy and treats. Then glue along the top of the strip and attach the top number right side up. The bottom strip will fold over to keep the candy inside and be easily removed as an entrance to the treats, although the kids will have a blast getting into the pinatas any way they choose. PS. A pinata to punch and pretty little pinatas. 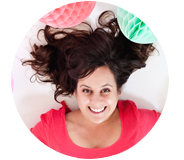 « The Cutest Heart Garland DIY for Valentines! love this idea! However just wondering what kind of paper? Poster board? And glue? Good old Elmers? Muy chula la idea, y la verdad es que sirve para meter cualquier cosa, incluso algún regalito para algún adulto.